Race Review: Standard Chartered Marathon 2014 [10km] (by Chelza) | JustRunLah! If you woke up early enough last Sunday, you would have witnessed dozens of people in blue race singlets gathering at your bustops, the MRT stations and in town. They might have looked a little anxious, excited or tired. Yet, all of them seemed well- prepared for something big. What were they preparing for? Well, it is none other than the annual Standard Chartered Marathon! 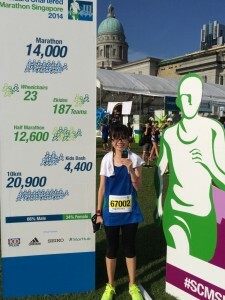 Standard Chartered Marathon is one of the biggest and most competitive marathons held in Singapore annually. 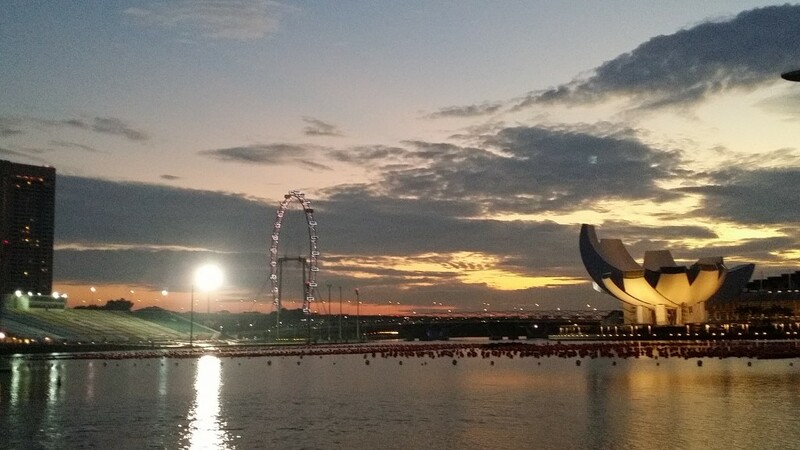 If you are a great fan of marathons in Singapore, you would have known that this is one of the marathons that you cannot miss out. 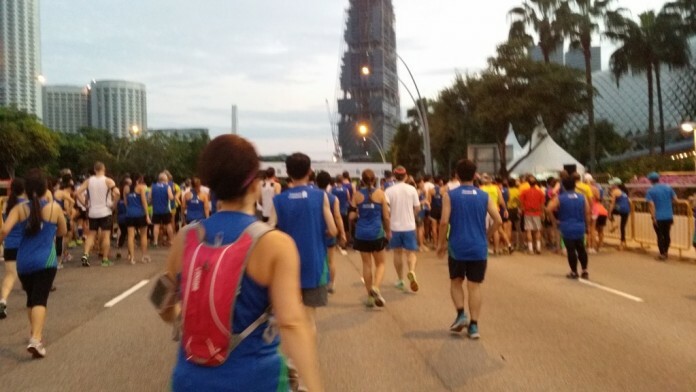 This year, they have attracted about 14 000 participants for its full marathon category, 12 600 participants for its half marathon category and 20 900 participants for its 10km category. Sounds phenomenal, doesn’t it? In fact, I was lucky enough to be one of the 20 900 participants to complete my 10km and also, my last race for 2014, last Sunday. At 6.30am, many of the 10km race participants were already making their way to the starting point. 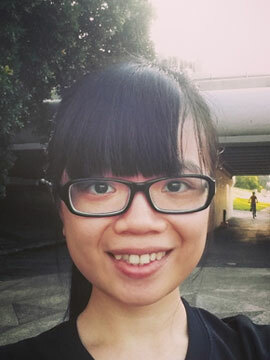 With the cool breeze and the picturesque scenery provided near One Fullerton, no one was really complaining about the walk from the MRT station to the starting point of the race despite it being a long one. 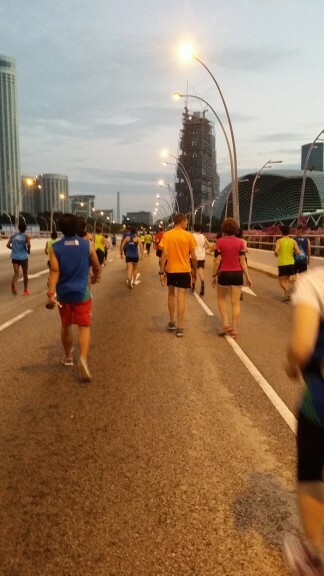 In fact, many of them were either busy taking selfies with their running buddies or, busy capturing the beautiful morning scenery of Marina Bay Sands. Not to forget, many of the serious race participants took the long walk as a warm –up instead. The race horn sounded at 7. 15am sharp together with the familiar beeping of stopwatches, the enthusiastic cheers from the hosts and the pumped-up music by the DJ. With such an intense yet fun-filled atmosphere, it was hard not to dash across the starting point. You would have thought that with such an overwhelming number of 10km race participants, it would be hard to dash across the starting point with ease. Yet, Standard Chartered Marathon 2014 proved you wrong. With the changes made to its race routes this year and its wise choice of wider race routes, not only can you dash across the starting point of the race with ease, you can pretty much sprint your way throughout the race without experiencing much congestion too. For beginners, Standard Chartered Marathon is probably a good one to act as your 1st step into running long distance or into joining more races in the future. Not only is the race route a fairly easy one with little slopes or inclinations, there were also plenty of supporters along the race route to cheer you on and make your 10km race a less torturous one. Some of them were holding on to placards that said “You can do it” and “Go for it” whilst others were musicians who played bells, tambourine and drums. Not to forget, under every signage that showed the mileage you have clocked in, there were quotes that were contributed by race participants themselves! Besides, the idea of indicating the last 1km with 500m, 400m and 300m is really useful for race participants who were planning to sprint for the last stretch of the race. Any race would not be as fantastic without an awesome post- race carnival. The same goes for Standard Chartered Marathon. Besides the free 100 Plus photo booth, there were also plenty of places for you to take a post- race photo without having to queue for it. Not to forget, event helpers were around to provide you with the motivational placards for you to take a post- race photo with! Furthermore, if you were experiencing any aches or cramps, Tiger Balm had its helpers around to apply its soothing cream onto your aching areas. If you were not rushing off from the carnival, you would have gotten the chance to take a picture with the famous Haile Gebreselassie! Yes, he was at the Patrons’ Club booth from 9.15am onwards! No matter how awesome a race is, there is always a room for improvement. 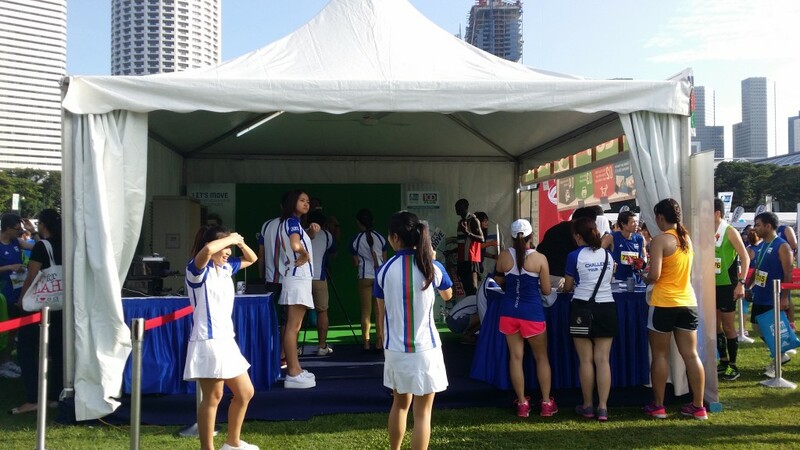 For Standard Chartered marathon, despite the endless number of portable restrooms, they were placed too far away from the starting point of the race. Yet, the race participants were lucky that along the way, there were still other restrooms around. Besides, despite my understanding that having motivators in the middle of the race route can act as an additional encouragement and element of fun for the race participants, it can also act as a hindrance for serious runners who have their timings to watch out for. To conclude, despite its flaws, I would say that Standard Chartered Marathon did well to manage its overwhelming amount of crowd this year in terms of its choice of race routes and also, its post- run carnival. It has made my conclusion of my list of races this year a satisfying one. I would definitely join it again next year! Click here for more post from Chelza. Sounds like the 10K was an absolute party. =D Well done on finishing it!